SLT verses DSLR versus Mirrorless CSC (EVIL) - Haba Naija! Some cameras in the Sony Alpha range uses SLT (Single Lens Translucent) technology, while the majority of cameras above compact level use DSLR ( Digital Single Lens Reflex) or SLR. Another Choice of camera is the MILC (Mirrorless Iterchangeable Lens Camera or Electronic Viewfinder with Interchangeable Lens). 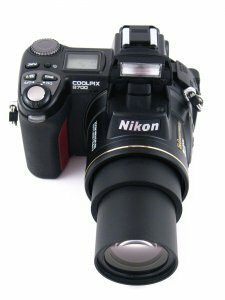 An SLR uses a mirror to reflect the image that will be captured in a viewfinder. The reflex mirror reflects the light into a pentaprism from the exact angle of 45 degrees. It is projected onto a matte focusing screen The image is then projected to the eyepiece via a condensing lens and the internal reflections from the roof of the pentaprism. When the shutter button is pressed, the mirror flips upwards, and projects the image through the shutter, onto the sensor, where it is captured. The shutter then closes and the mirror returns to a position of 45 degrees. Mirror is up so if scene changes slightly it will not be updated. There is a third player. It is time to get EVIL!!!!! This camera is the intermediate between DSLRs and compact (point and shoot) cameras. It has acquired various names, including Mirrorless interchangeable lens camera (MILC), Compact System Camera (CSC), Mirrorless System Camera (MSC), Digital Single Lens Mirrorless (DSLM) or Electronic Viewfinder with Interchangeable Lens (EVIL). The final name is misleading because it does not mention the mirrorless system, and also the abbreviation does not give a very inviting effect. They are also called Micro Four Thirds Cameras. How do you feel about theses systems, which do you use, and why? Please comment below. Megapixel? No Way! Try A Gigapixel!! – The Worlds First Gigapixel Camera invented in the US – Prototype Combines 98 micro-cameras into one big Whopper!